Here's wishing everyone a very Happy Easter - especially if you've got a sweet tooth! I couldn't resist purchasing these little mini eggs a few years ago and shooting them for some of my stock photography agencies. 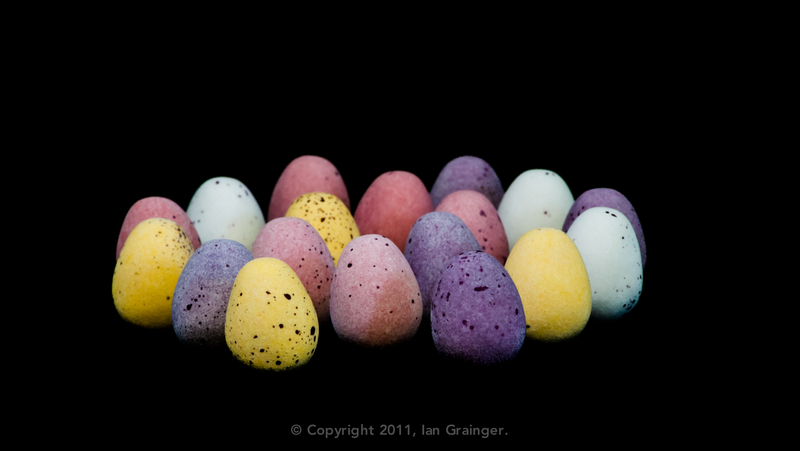 The images I took have turned out to be quite good sellers - especially around Easter time funnily enough! It just goes to show that if you can take images that target a particular time of year or season, you can have success with selling stock images even with the most mundane of subjects. Of course, the best thing about taking images of these little chocolate eggs was that I got to eat my subjects after the photo shoot - and if I remember correctly, they were delicious!